The research topic of the department of Transport & Planning (investigating the functioning of traffic and transport systems) is pre-eminently suitable for inductive research: moving from specific observations to broader generalizations, theories and models. This requires a wide range of facilities, provided by several laboratories. These laboratories can be divided into ‘technical’ laboratories, offering tools and services to support research, and ‘research-oriented’ laboratories, focusing on the research itself. 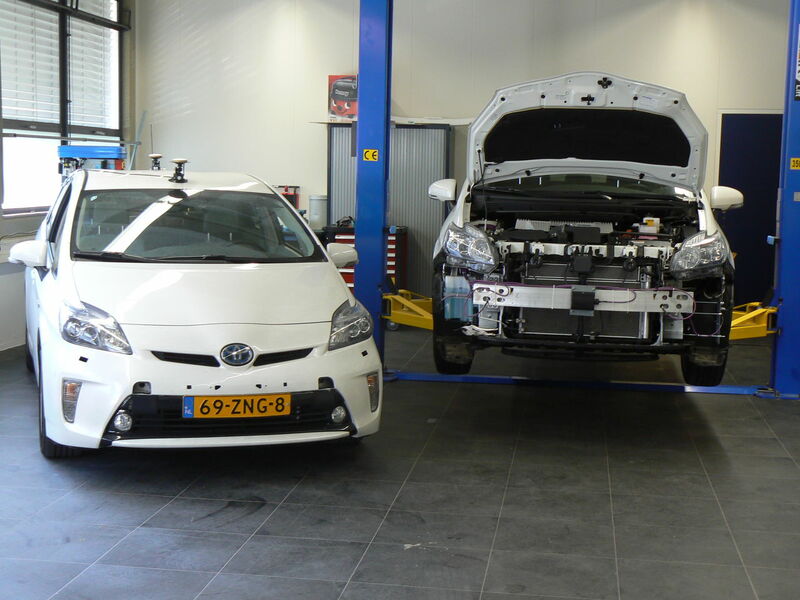 The technical laboratories are Dittlab (Delft Integrated Traffic and Travel Laboratory, providing a data and simulation platform), the traffic laboratory (focusing on data collection and monitoring) and the Smart Vehicle Lab (providing various types of smart vehicles). 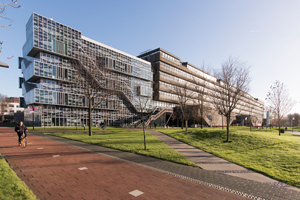 The research-oriented labs are the Research lab Automated Driving Delft (RADD) and the Bike Operations Research lab. DiTTlab is the follow-up project of Regiolab-Delft, which for over 15 years collected and archived huge amounts of traffic data (still accessible via www.regiolab-delft.nl). DiTTlab extends the Regiolab-Delft database with data from provincial roads and the four largest cities, plus other relevant data such as weather conditions. Beyond archiving data, DiTTLab also develops (traffic simulation) models and advanced simulation methods to understand the data. DiTTLab is a platform for collaboration for students, researchers and private-party practitioners. The traffic laboratory provides facilities to monitor traffic, both on-line and off-line. In addition, it provides researchers with extra calculation power, in the form of 12 state-of-the-art desktop computers, to perform intensive calculation and modelling tasks. The main aim of the traffic laboratory is to collect empirical data on the traffic and transportation system. To this end, the laboratory offers a wide range of advanced monitoring systems, from the micro to the macroscale. To name but a few, the laboratory disposes (helicopter-mounted) video cameras, radars, in-house developed Wifi sensors, GPS trackers, and the McSavi (in-house developed multi-camera stand-alone video installation). In addition, dedicated software tools are provided to cover the first steps to process the raw data. We mention the tool to stabilize images (e.g. collected from a helicopter) as well as the toolset to automatically detect & track traffic participants. These tools were originally developed for vehicular traffic, but have been extended and can be used to derive trajectories of pedestrians and cyclists as well. other vehicles can be studied, but also the effect of automation on the driver and the environment (consisting of other traffic participants as pedestrians and cyclists and the physical environment). In addition to the more traditional passenger transport, the lab covers public transport and good transport. In addition to the test facilities and research facilities, RADD values cooperation and provides a platform for science and practice (government as well as businesses) to meet. This way, knowledge sharing is supported, and challenges and obstacles for automated driving may be identified and overcome. The Smart Vehicle Lab maintains and equips (smart) vehicles and bicycles that can be used for research. The lab has its own car park consisting of a Toyota Prius (instrumented for naturalistic, supported and automated driving) and a Twizy. Moreover, it regularly makes use of the WEPods vehicles developed by TU Delft. The Toyota Prius is equipped with 9 radar and 9 video cameras, together providing a 360 degree field of view with a range between 50 and 200 meters. These sensors can be used for observations of the surrounding traffic, and are the preparation of (partial) automated driving. Currently, the Prius already contains the Movebox, developed by TNO, which facilitates ‘drive-by-wire’, through which automated driving can be mimicked to investigate the effect of automated driving on other traffic participants. In addition, several webcams observe the driver behaviour to facilitate naturalistic driving research and preparations are going on to support cooperative driving. In a joint project with The Hague University of Applied Sciences, the Twizy will be equipped with sensors and prepared for automated driving as well. In addition to the car park, the SVL has, in cooperation with AMS (Amsterdam Institute for Advanced Metropolitan Solutions), equipped a bicycle with a GPS tracker and cameras (webcams) mounted at both the front and rear. The main objectives of the research lab Automated Driving Delft (RADD) are to facilitate the development of sustainable and safe mobility for the future and to increase the accessibility of the Rotterdam – The Hague region. To this end, RADD facilitates research into automated driving by providing a physical experimental garden (an independent platform) in and around the campus of Delft University of Technology, where innovations in the area of automated driving can be tested, demonstrated and validated. Researchers as well as companies may perform tests, using either their own vehicles or the vehicles provided by the Smart Vehicle Lab. The lab facilitates research on full automation, but it also provides opportunities to test the transition from human driven vehicles to automated vehicles. Here, not only the interaction with other vehicles can be studied, but also the effect of automation on the driver and the environment (consisting of other traffic participants as pedestrians and cyclists and the physical environment). In addition to the more traditional passenger transport, the lab covers public transport and good transport. The aim of the Bike Operations Research Lab is to develop and investigate advanced data collection and smart solutions for cyclist traffic. An increased bicycle mode share has benefits (reduction of car traffic leading to reduction in noise and pollution, improved health and well-being of cyclists), but the first issues are seen as well (parking problem, orphan bikes, bicycle congestion). The Bike Operations Research Lab provides technologies to give insight into cyclist flows in cities and to evaluate interventions and policies to improve the safety and throughput of bicycle flows and facilitate parking. At the same time, the lab provides the opportunity to collect data to answer fundamental questions on cyclist behaviour, e.g. on their route choice, on their reaction to interventions and on real-time information. While the concrete objective is to improve the cycling network and facilities on the Delft University of Technology campus in a cost-efficient way and to increase the cycling safety for both TU Delft students and employees, the lab also facilitates research into cycling behaviour in general. 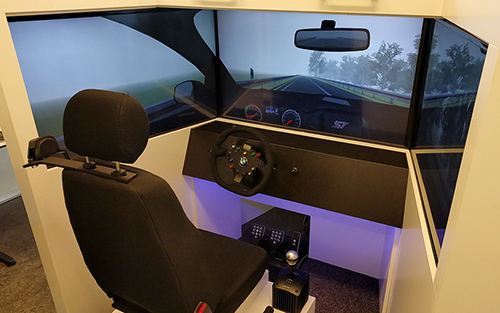 Driving simulators provide a safe and cost-efficient method for collecting empirical data about driving behaviour, offering insights into the impact of human factors. Past research at the Department of Transport & Planning focused on the impact of authority transitions between adaptive cruise control and manual driving, the impact of road complexity on driver behaviour, understanding how city visitors find their way out during evacuation in case of a disaster, and how driver’s workload is affected by different traffic, road and weather conditions. The latest facilities include two GreenDino Classic LT fixed-base driving simulators, fitted with three UHD screens providing roughly 180-degrees field of view, and Fanatec steering wheel and pedals. When coupled, these simulators allow studying two human drivers interacting in the same driving scenario. 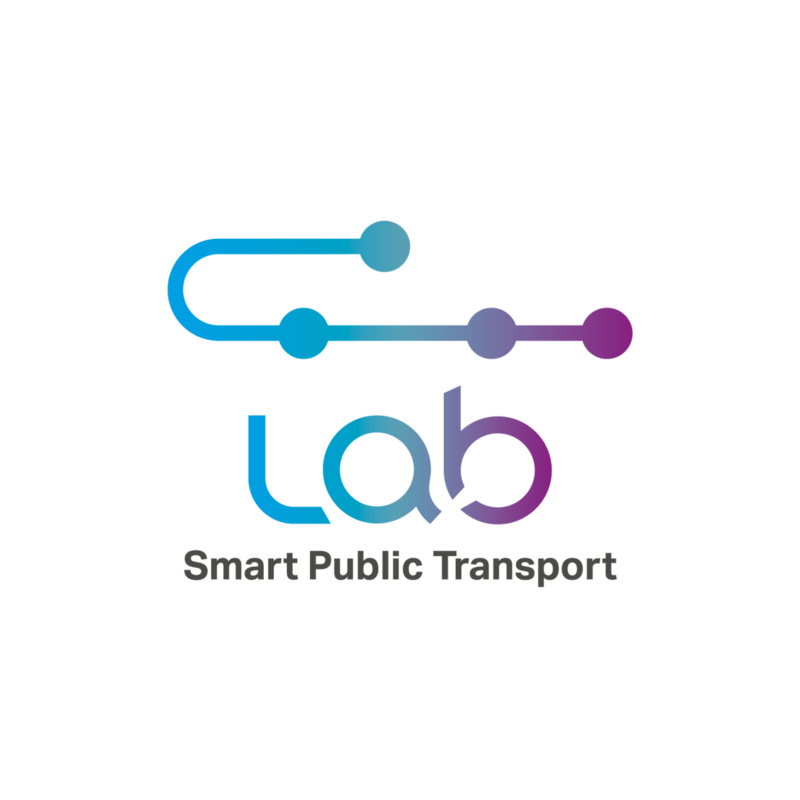 The Smart Public Transport Lab develops new solutions and methods for public transport planning, operations and management. In the Smart PT Lab we are passionate about performing high level scientific research with a practical relevance and impactful outcomes.